Stylish and practical - this cocktail tool kit is a must for any home bar or cocktail party. 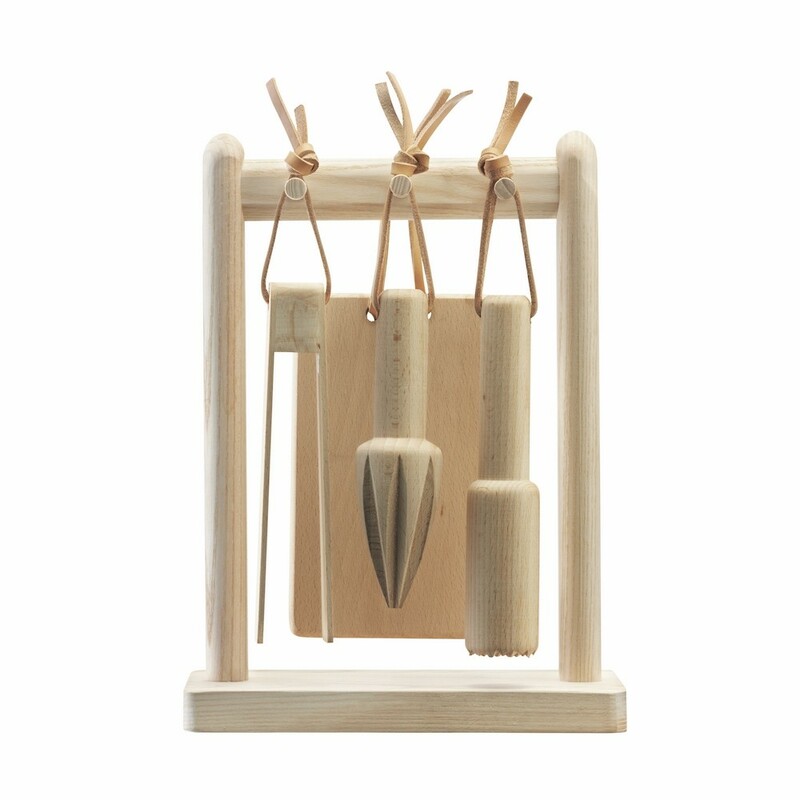 Included are tongs for ice and fruit, a muddler, a citrus reamer and a miniature chopping board, all hanging on a contemporary wooden frame by a leather toggle. Care: Clean with a soft brush or damp cloth. Do not leave immersed in water or place in a dishwasher. Allow to dry naturally.